Rectangular file, tanged. 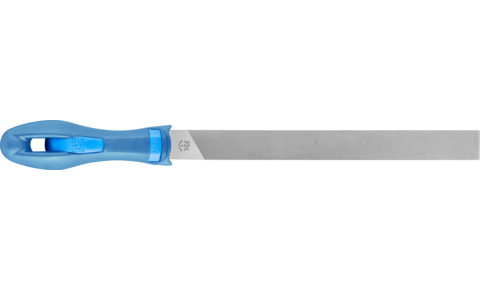 Available in three versions: With two straight edges (1212), with one round and one straight edge (1212 gr), with two round edges (1212 r) and cut on four sides. Shape E according to DIN 7276.